Falls Church, VA – Ace Air Conditioning has a team working on the mechanical installation at the new Longhorn Steakhouse opening in the Crossroads Place shopping center in the Bailey’s Crossroads section of Falls Church. 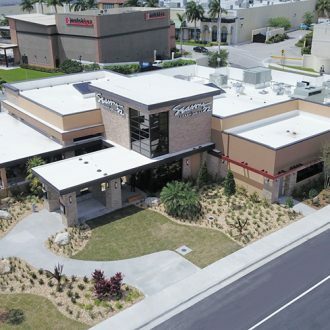 Ace is working alongside Buffalo Construction to install the central air conditioning system, heating and ventilation, refrigeration, kitchen hoods and fans as well as all ductwork for the 6,275 square foot restaurant. The Falls Church Longhorn Steakhouse is set to open this Spring.